Here are some pictures I have taken. This is me, Yenamaboya, as of early Carnauba [July to humans]. This guy is a bully, man. He tried to take my lunch money the other day. Luckily, I had a spare iron rose, and he backed off. Here is a picture of my sweet lover, Yenapahikizaoya, at the beach picking flowers. There once was a cat stuck in a tree. This was an ordinary tree. The cat was not. What did an extraordinary cat look like, you ask? He had more than two ears, of course. Maybe three, or maybe more. Any way you look at it, his hearing was superb. He could hear a spider weaving its web three miles away. But he could not climb down the tree. He had triple jointed whiskers, of course. They were vey flexible. They could bend over backwards and tie themselves in knots. This was very helpful when the cat wanted to disguise himself as a present. But it did not help him to climb down the tree. He had waterproof fur, of course. He was a very talented swimmer, and held the record lap time in several small towns. He scoffed at umbrellas, shower caps, and particularly fishing rods, which he did not need to catch trout. But none of this helped him to climb down the tree. Last but not least, he had a sandpaper tongue, of course. It was rougher than the final boss in Baboon Bobble, and drier than a silver bullet. He used it daily to finish his woodworking projects, which were many. He would become very posthumously famous for his master work, which he died licking. It was the tree. The end. Nary a lip has grown moist with the humid pleasures of this story for thousands of years, way back before Gilgameshoya invented written words by smearing saliva and vomit upon the sides of canoe/burial pyre hybrids (very fuel-efficient). Now I shall orate this mystical legend, how it was intended to be heard. Mala carnauba, Jezohikoya na ford coppola gang gang pernutabla tabla pinata. Coppola metala placonya be ni majoya foalalala. "Hajikaya," jezohikoya canola, "mas bemni gorscht!" Havia uma veziyo um menino ku cornelloe aziyaka semento da banana rottenjo manteiga protista von baegel do núcleo da maçã para ele e niki por do soldach crocodili ta coisa do balanço tei corda do dinheirax klo selva gang floresta das picaretas atrás de um cornfieldoya dentro de um frasco da porca coppola abelhaya e Jezohikoya uma ônibus completamente jaga tablaoya. Nobody ever knew what happened to the Paisley Platypus. Some thought he drowned himself in strawberry cheesecake; others ventured that he defenestrated himself while relieving his bladder. But nobody knew. What I knew was that for the first time in my life, I had found the perfect pair of moonglasses, and with my left eyes, I could finally see the moon in four directions; it was no longer the streaky crystal blur of the past. And in the moon was truth. The cool, jaded and jeweled pearl still dots the inky cloak of the night sky now and again, giving light to blackbirds sweeping from one wooden hollow to the next. And even now, I can turn my head slightly and see the Platypus jogging across the lunar surface. Oh yes, of course, we all told him what would happen. "Swim to the moon and you will be pierced with intergalactic neutrinos like a shotgun to the face from a vice president." But did that stop him? I find it improbable, considering he did it. "The Machine" was fashioned from small green bananas, empty styrofoam cups, and the usable remnants of old, battered ping pong balls. "The Machine" was scrutinized simultaneously by the Daily Gnu and the Picalladin Limes as being "over-developed, overpriced, and ovary." "The Machine" was more stuff. But all neglected to realize that at its heart lay the true spirit, the true warrior, the more true things! And that was he: Paisley Platypus! The hero of the 74th Slothian Millenium! Just check out the look on Banana's face as Doctorgoya tells him that they've invented straight bananas! Ohh the good old days! I still remember that game-winning catch that theZEBRA made. I don't get why my sugar cubes turned into salt cubes. I drink no horse tea! Once in a time where rolling aqua filters perambulated in the mid-evening Jello, there was a mountain of a thousand cocoa beans. The Cocoa Monkeys would climb the knolls, valleys, and gulches of these cocoa beans, forever cultivating the sacred ground upon which they expunged their acids. One fateful day, the leader of the dormant cocoa beans, Sir Mambishi the Timid, was ejected from his chocolatey casing and let out the wail of a dozen crickets. From all directions, spoons flew in unison into a forcefield that turned them into forks. For one split second, they were sporks. And for that reason alone, the cocoa beans errupted in an orgasmic array of color and odor and were transformed into a can of giraffe milk. Everybody, even Seymobugi, knows that giraffe milk is a particularly cursed item. It was once transcribed that such a substance could awaken the 2097 year's curse of Fig Penguins. However, all that seemed to happen was a flock of dodos materialized out of the scraps of worm entrails left about. For 17 days, nights, and weeks, the Cocoa Monkeys and the Entrail Dodos fought valiantly with one another. Many lives and limbs were lost and rediscovered to be chucked into the Vat of Miscellany. As the dust settled, it was clear to see the Entrail Dodos were the victors. One such dodo, KR-17, shed a tear in reverence of their defeated opponents, and later baked a turkey with the amino particles deposited into his cheek. The Entrail Dodos were destitute, and thus wandered the lands, consuming most if not many of the mushrooms juxtaposed to the path of their limpid itinerary. Without warning, the lands suddenly became flooded, and all of the dodos drowned except for one cunning fellow who found refuge at the peak of the Purple-Toned Mountain Range. For many, many years, XJ-22 starved atop a rather slick, but attractive slab of rock. One day, XJ-22 arose and found that the water had all been drained down the Sink of Eternal Ambiguity. He gazed upon the dried lands and spotted the most holy of mushrooms. He made his way down the indignant mountain trail only to realize there was a baboon checking out the mushroom as well. XJ-22 said "Yo homie, you best not be steppin'." 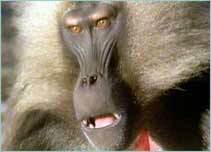 The handsome baboon replied with much chagrin, "I know!" XJ-22, surprised by the baboon's merciless cunning, inquired about his name. "I have no name, I am the first or last of my kind; I haven't figured out which yet," the baboon insisted. XJ-22 did not care, he only wanted a piece of that fine mushroom, and thus began plotting a devious scheme with the brain in his liver. His first attempt of "Can I have that mushroom" resulted in a quick reply of "NO! You must not consume this towering titan of a treat!" "Oh come on, can't I just have a handful or three?" inquired XJ-22. The baboon produced a sledgehammer and thrust it at the dodo, who transformed into a wormhole using his entrail powers, and dodged the metal contraption. Soon after, the baboon asked about the intrusive dodo's name. "Well," XJ-22 replied, "my name is You-Can-Eat-This-Mushroom." The nameless baboon replied, "Well hello, You-Can-Eat-This-Mushroom." "Oh? I can? Thank you very much," XJ-22 sheepishly screamed. He dove in for the mushroom and took a huge bite, consuming it all in one foul swoop. "NOOOOOOOOOOOOOOOOOOOOOOO," the baboon was quoted as iterating. XJ-22, enjoying the delicious delight in his stomach after years of fasting, began to glow a very vivid tone of sepia. Unaware of what was happening, he began mouthing the lyrics to "Twinkle, Twinkle Little Protista." Little did he know that the second stanza was the ignition to the curse that was beset upon him after consuming the Mushroom of Brominatio. His entrails exploded and were transfigurated into the worms they were unjustly ripped from at an age too young for a kneecap to swallow. The worms landed in a formation seperate from but identical to the word "Hoya" in Siamese hieroglyphics. After the worms were drained into the subterranean meat kettle with the aid of the Oboe of the Seasons, the baboon took up the name Hoya and asexually reproduced to create more than 50 baboons. The baboons lived, for the most part, and reproduced in more ways than baboonly imaginable. After those memorable three fortnights, the baboons were the dominant species on the Island of Ishbu, all thanks to the heroics of Hoya. Here are a few drawings I've done. I hope you enjoy them as much as you enjoyed the Walnut Brittle treats! Here is the monkey, the zebra, and Papagoya staring in disbelief at the banana. Here is Papagoya enjoying the shade of the lemon tree. Here is a shot of the monkey desecrating Papagoya's Army Posters.. Hey, wait a minute! The zebra sure taught that hairy protista a lasting message! The high-quality Photoshop version of the hairy protista. Definitely the banner-child for the entire race.